One of the country’s commercial banks, Standard Bank plc, is commemorating its golden jubilee with what it calls renewed commitment to improved service delivery. Standard Bank, formerly Commercial Bank of Malawi, was registered on March 15 1969 as a joint corporation between the Malawi Government, Press Corporation (then Press Holdings Limited) and Banco Pinto Sotto Mayor. The Malawi Stock Exchange-listed bank is a subsidiary of Africa’s largest bank by assets, the Standard Bank Group, listed on JSE in Johannesburg, South Africa. 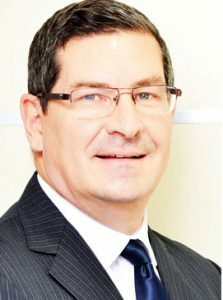 In a statement issued Wednesday, Standard Bank Chief Executive, William le Roux, thanks Malawians and partners for unwavering support. He says the bank is committed to continue service its customers with diligence. “We promise to remain a solid partner in the many decades to come. In 50 years, we set the pace. Standard Bank sees the next 50 years as another opportunity to improve on the accomplishments of the past,” le Roux says. Le Roux says to commemorate the golden jubilee, Standard Bank has lined up a number of activities and events spread across 2019. The events include a high-profile stakeholders’ appreciation dinner. In Malawi, Standard Bank has grown in stature with its working capital grown from K2.5 million in 1969 to K313.5 billion (approximately $437 million) in 2019. The bank’s branch network has grown to 27 outlets nationwide.